It was a cold and wintry night as Scrooge sat in his counting house counting out all of his money. He’d made profits last Christmas as all the major retailers had. But Scrooge wanted more. Bob plucked up courage, cap in hand with head bowed, he walked over to his boss. “Please Sir”, he stuttered. “Please would you install a Changing Places toilet, in your very large store?”. Scrooge stared him down: “Bah humbug! I will do no such thing. Why should I spend our huge profits on your disabled child? Now get back to your work you snivelling wretch”. Bob returned to his desk, tears rolling down his cheek, he felt beaten, no-one would listen to their situation, NOBODY cared. Evening drew in. Bob went back to his family and told his wife that he felt he had let her down again. In his huge mansion Scrooge retired to bed. The clock chimed midnight, and a ghostly chill fell on Scrooges bedside. The Ghost of Christmas Past turned his steely eye on Scrooge. “You don’t need to provide these toilets, people with disabilities rarely come out shopping, no-one needs to provide for them. 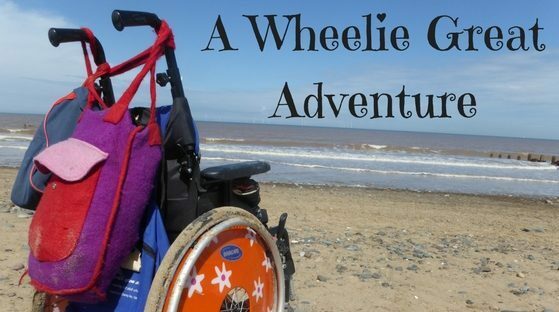 Whatever will they think of next electric wheelchairs?”. He wafted out. Scrooge tossed and turned and drifted back to sleep. Another hour passed. The curtains blew and the chill once again took over Scrooges bedroom. “I am the Ghost of Christmas Present. There are a lot more people with disabilities visiting us these days, all these mobility scooters and electric wheelchairs seem to have made a change, and they all have money to spend. I think though that this year we will make a token effort with the Changing Places toilets. Just put one into one of our many stores and say that we’re trialling it, that should fob any whiny Cratchits off, lets put it at the other end of the country though, we don’t want Bob to feel that he’s achieved anything”. With that the Ghost of Christmas Present chuckled to himself as did Scrooge. Now traditionally, a further ghost visits. But in this story, the future is down to you. A lack of appropriate toilet facilities for disabled people in the UK affects one in 260 of the population. The situation Tiny Tim and Mrs Cratchit found themselves in is happening in towns and cities all around the UK every day. Currently this means that people with disabilities are being changed on toilet floors or in the back of cars, or left in soiled pads for prolonged periods of time or quite simply are unable to go out at all. Ikea and Wetherspoons are the only businesses that have committed to providing more Changing Place toilets in their premises, that would have enabled Tiny Tim to use the toilet in a dignified and humane way. If these businesses can do it, then so can others if they care enough. In total there are only 9 supermarkets with Changing Places toilet facilities in the UK, many large shopping malls also don’t have these facilities. Campaigners are fighting for change. Up to now businesses have chosen to turn a blind eye to the inhumane situation that their customers have found themselves in, despite repeated requests for them to provide these facilities. You can help bring about change. Please sign these petitions, calling for supermarkets, shopping centres and other retail outlets to provide these facilities. The more awareness, the less that we can be ignored. Petition calling for Changing Places toilets to be compulsory in shopping centres and other large public buildings. Petition calling for supermarkets and other large retailers to include Changing Place toilet facilities. Love it! We have just posted a letter to the store where our Elf had a bad experience. Lots of gentle care, time with friends, and a positive trip to Cornwall Services have helped.